In the last post we examine how a wordpress site looks like, both from the visitor’s perspective and from the admin’s perspective. Now we begin to learn how to customize the look of a wordpress site. WordPress, a well designed software, strictly follows the “separation of concerns” design principle. What this means is that wordpress separates different aspects of the software into separate parts, and one can change these parts without affecting others. For example, wordpress puts all customizable content in a folder called wp-content. Any files outside of wp-content are the core files of wordpress, and should not be modified by the users. Inside wp-content, wordpress has separate sub-folders for different custom types. 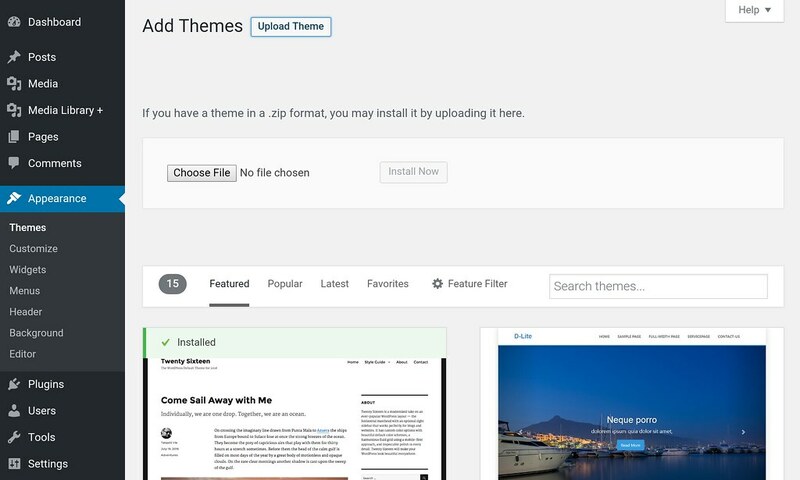 The sub-folder that stores custom wordpress website look is called themes, storing the theme(s) of wordpress. A theme is a collection of specific files bundled in a folder that determines how a wordpress website should look and act. Default templates that tell wordpress how to show pages, posts, search page, etc. Customized templates for user’s own webpages. Template parts that represents one part of the page. Used for better organizing the codes. A function file that determines the behavior of wordpress. Users can customize the functions to change wordpress’ default behavior. Notice that simply installing a theme won’t setup webpages automatically: you still have to configure your site in the admin panel to complete the setup. It’s like a living room set from IKEA: it provides the parts, but it’s up to you to pick, choose and arrange your own living room. 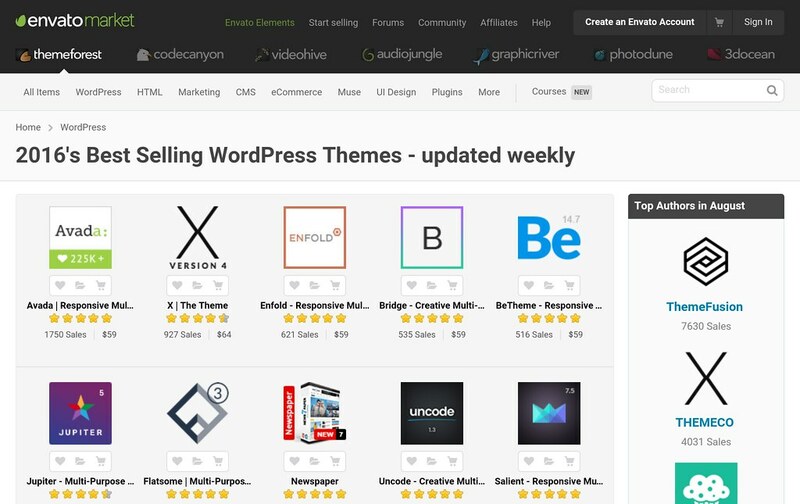 Such flexibility enables professional wordpress theme creators to create powerful pre-built themes for non-programmers. These themes enable non-programmers to easily configure their webpages graphically via the Appearance tab in the admin panel. Nonetheless, easy-to-use comes with a price of limited custom options. As different themes have different customization interface, it’s also tedious to switch from one theme to another. 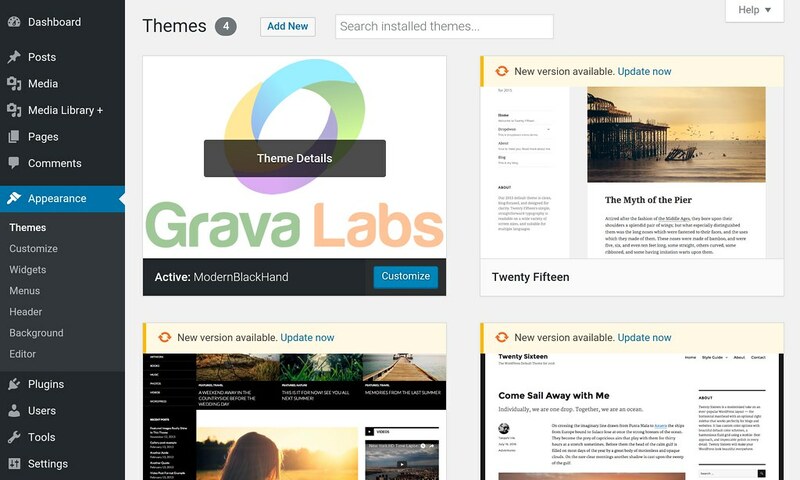 WordPress makes it very easy to find and install themes. At the admin panel, click “Appearance” and “Themes”. There should be a few themes that come with wordpress. To find a new theme click “Add New”. You can search the free theme via keywords. However for premium themes you have to go to commercial sites. My favorite is Themeforest. A good start is to find the best selling themes. You can directly install the theme via wordpress’ “Add New” page, or for premium themes you download it, and click “Upload Theme” to install them. We have learned how to use a pre-built theme. Next we will customize our own theme by creating one.